Pakistan: Women Education, time to resurrect!! Exceptions do count like Malala Yousafzi from the Swat Valley in Northern Pakistan who showed extraordinary courage in continuing her fight for girls’ education in the face of adversity. Her “Malala Fund” set up to support the girls in developing countries who desires to go to school is a noble initiative. The women education scenario in Pakistan is scandalous. The figures show a grim situation. According to the study carried by the UNESCO the overall scenario of female education alarming. The report declares Pakistan as the bottom seventh country above six African nations. 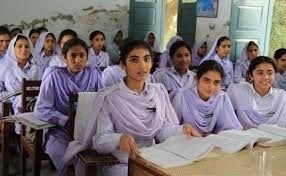 To add up a devastating statistics of 62% of Pakistani girls aging between seven and fifteen never had the opportunity to attend a classroom with an average a girl has spent only one year in school between the age of seventeen to twenty two. Government bodies, supporting the noble initiative like the Malaya Fund has to pull off their socks to mobilize the funds and raise the standard of education in the country. Harmful practice such as early marriage, gender-based violence; discriminatory laws which prevent girls from enrolling or completing school have to be checked. There has to be Infrastructure development like more number of schools. A mammoth task lies ahead to renew the educational system, giving the girls the tool to shape the world as aspired by them.